A team of Princeton researchers led by Christodoulos Floudas, a professor of chemical and biological engineering at Princeton, evaluated scenarios in which the United States could power its vehicles with synthetic fuels rather than relying on oil. The team’s conclusion is the U. S. could eliminate the need for crude oil by using a combination of coal, natural gas and non-food crops to make synthetic fuel. Princeton Synthetic Fuel Team. Professor Christodoulos Floudas (center), along with graduate student Josephine Elia and Richard Baliban. Image Credit: Frank Wojciechowski, Princeton University. Floudas said a realistic approach would call for a gradual implementation of synthetic fuel technology, and Floudas estimated it would take 30 to 40 years for the United States to fully adopt synthetic fuel. It also would not be cheap. He estimates the price tag at roughly $1.1 trillion for the entire system. Those numbers seem low – it’s about what the government borrows now in a single year. 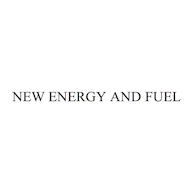 Floudas’ Princeton team found that synthetic fuel plants could produce gasoline, diesel and aviation fuels at competitive prices, depending on the price of crude oil and the type of feedstock used to create the synthetic fuel. About two-thirds of the crude oil consumed by the United States is used for transportation fuel, according to the federal Energy Information Administration (EIA). The EIA said the United States imports about 45 percent of its annual crude oil consumption. The core of the plan is a technique called the Fischer-Tropsch (F-T) process that was developed in Germany in the 1920s as a way to convert coal to liquid fuels. F-T uses heat and chemistry to create gasoline and other liquid fuels from high-carbon feedstock ranging from coal to switchgrass, a native North American grass of the Great Plains. F-T chemistry is complicated, essentially taking the carbon and hydrogen from the feedstock and reassembling them into the complex chains that make up fuels like gasoline and diesel. The feedstock material is heated to 1,000 to 1,300º C and converted to gas that is further converted to chains of hydrocarbon molecules. These hydrocarbon chains are then processed over catalysts such as nickel or iron. The end products include fuels, waxes and lubricants normally made from crude oil. Engineers have refined the original Fischer-Tropsch method to increase efficiency. But the high cost of building new synthetic fuel plants, coupled with the low price of crude oil, has made synthetic fuels too expensive for widespread acceptance. The Princeton team’s method adds a step to recycle CO2 through the process to reduce the amount of the gas vented by the plants. Baliban said there is a limit to how much CO2 can be economically recycled, although plants could also trap unused CO2 emissions for later storage. Related Article: Mexico to Privatize State Oil Company Pemex? In a July article in the AIChE Journal, the team asserts that the United States could meet its entire demand for transportation fuel by building 130 synthetic fuel plants across the country. The article, with Josephine Elia, a graduate student in chemical and biological engineering as the lead author, made its assessment using three feedstocks: coal, natural gas and biomass. To avoid switching farmland from food production to crops used for fuel production – which would hurt the food supply – the researchers only included non-edible crops such as perennial grasses, agricultural residue and forest residue. Their scenario modeled F-T plants placed in proximity to both feedstock supplies and markets for fuels. The analysis factored in external costs such as water supplies and electricity to power the plants’ machinery. The team recommended construction of nine small, 74 medium and 47 large plants producing 1 percent, 28 percent and 71 percent of the fuel, respectively. Most of the plants would be clustered in the central part of the country and in the Southeast. The state with the highest level of fuel production would be Kansas, which would have 11 large synthetic fuel plants. Texas would have the largest number of plants, but because of the scattered nature of feedstock in that state, most of those plants would be medium-sized. Floudas noted the cost could be much lower if plants eliminated biomass and used only coal and natural gas to run the process, but that would eliminate most of the environmental benefit. “If you want to have a 50 percent reduction in emissions, you need to have the biomass,” he said. The team doesn’t address the need to persuade consumers to buy the fuel, the petroleum industry to invest, build and run the plants, and farmers to produce the feedstocks. Floudas said that synthetic fuels also would allow carbon reduction with the fleet of cars currently on the road. Even if the country immediately converted to selling new zero-emitting electric or fuel cell vehicles, millions of internal combustion vehicles would still be driving. By switching to synthetic fuels, he said, the country would have the opportunity to reduce those emissions, even if it they would not be completely eliminated. Floudas has run an interesting exercise. With a dictatorship government the plan could get underway forthwith. In a democracy and free market system the F-T process will have to compete on its merits. When the merits are compelling synthetic fuels will be a sure investment. The time hasn’t come yet. These teams need to add some business and economics professors next time to make the case. Source: Could Synthetic Fuel End U.S. Need for Crude Oil?